The Ant & Mike Show - "We Do More Than Gossip": Sports Report: WE ARE SPARTANS!!!! Sports Report: WE ARE SPARTANS!!!! 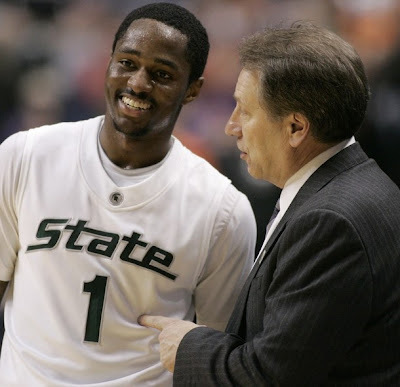 Shout out to The Ant & Mike Show Alma mater, the Michigan State Spartans, for their victory over top seed Louisville, and their trip to the Final Four. The Spartans outplayed the Cardinals on their way to a decisive 64-52 victory. The other teams that will be playing at Ford Field in Detroit next weekend are, North Carolina, Villanova, and Michigan States Final Four opponent, UConn.